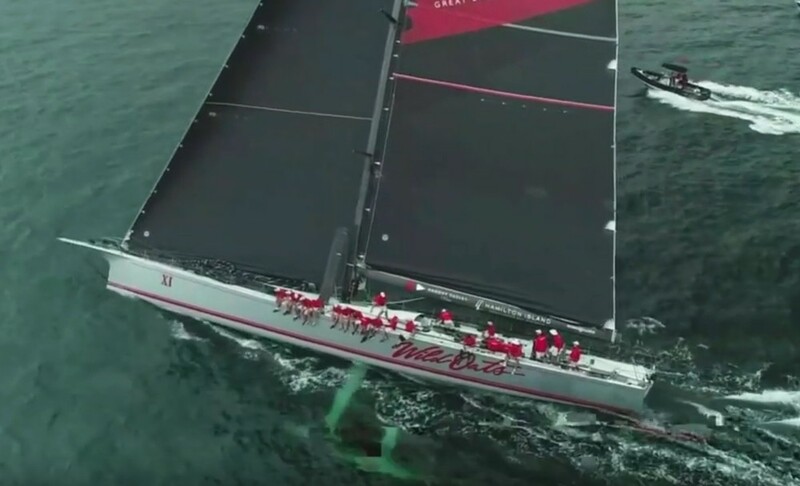 Wild Oats XI reclaimed the Line Honours crown at the 25th running of the Big Boat Challenge in the 2018 Grinders Coffee SOLAS Big Boat Challenge on Sydney Harbour on Tuesday. Despite smart crew work from last year’s Line Honours winner Peter Harburg’s Black Jack, the Oatley Family’s Wild Oats XI exerted her authority to take Line Honours. Winning Appliances skippered by John Winning Jr, got off the start smartly and was third behind the leading super maxis for the bulk of the first leg – perhaps John and John’s 18-foot skiff skills came into play. Winning Appliances kept the pressure on the whole way around the course, sailed in a mostly 8-10 knot sou ‘easterly, to take the Overall Win from Wild Oats XI. Behind the pair, Christian Beck’s InfoTrack was slow to wind up but soon picked up pace, meanwhile Seng Huang Lee’s Sun Hung Kai/Scallywag took a leg out to the western shore and seemed to be struggling. As the race wore on, however, third place became a battle of those two as they swapped third and fourth throughout the race, with InfoTrack coming from behind to claim third place. Pundits believe that the result of the Grinders Coffee SOLAS Big Boat Challenge is a forecast of what will happen in the Rolex Sydney Hobart. Competitors will tell you this is not the case, however, as there is a big difference between a short Harbour course and the 628-nautical-mile offshore race to Hobart when many other factors come into play. After Tuesday’s exhibition of the big-end of the fleet, all eyes now turn to the main event, the ‘Everest’ of Ocean Racing, taking place on Boxing Day.